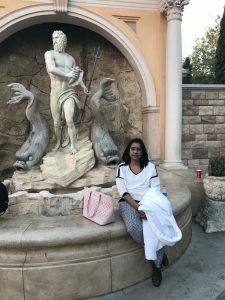 Kiran Naraharisetti is a Technical Product Owner and Project Manager at Venuetize where she works closely with our customers. Tell us about your job here at Venuetize. As a product owner, I communicate with our customers to formulate a product concept. I articulate user stories based on interviews and I am the voice of customer to our internal team. In my role as project manager, I determine which features and functionality will be included in each release based on the customer’s priorities and am responsible for managing the project, skills, scope, time, cost, communications, risk, and quality. I love what I do. It is as simple as that. Team work – we have a real collaborative spirit here at Venuetize and I enjoy working with my colleagues as part of a team committed to the company’s success. What are you passionate about outside of work? I am passionate about Earth, nature, traveling, books, and volunteer work among other activities. I participate in SEVA (Society Enrichment through Volunteer Activities) a volunteer group within my temple for fund raising activities to help flood, cyclone, and medical relief funds in India. We also collect clothes, books etc. to donate to children in need. How do you feel when someone is your hero? When you are valued, supported, loved, and helped you to be ready to face the world! All of us have someone we especially admire, and some we even consider as heroes for one reason or another. The dictionary describes a hero as a man admired for his achievements or qualities. My heroes are my father and the man I married. Both of them were ordinary, hard-working, honest sort of guys. Taking care of his wife and looking after his children. Standing up for what’s right and watching out for those who are in need. Following God. An everyday hero. They were identical in some ways but worlds apart in some ways. While my husband was brave and tough, my father was kind and sensitive. How they impacted my personality? I learned so much from both that no university on earth could teach. What’s the first thing you notice about someone? Their eyes. They show energy, mood and window to their personality. I like to observe other people’s smiles too. In fact the facial expression and body language along with tone of voice and communication after an introduction really catch my attention. Some people light up the conversation just by their beautiful smile. Smiles makes the meeting comfortable while eyes are like a light that a person emits-sometimes brightly and sometimes barely.